strengthen the relationship between Dharan and United State. The formal bond was formed with an initiation and coordination of Tej K Kumar Limbu Tumbahamphe. The gathering of group so called Dharane nominated Tej K Limbu as a president of the ad-hoc committee, Bimal Gurung Vice President, Hemendra Gurung secretary, Bikash Rai joint secretary, Sudan Shrestha treasurer and the members of the committee are; Bishnu Kumar Chongbang, Tashi Sherpa, Ranjit Rai, Warak Hang Limbu, Sanjit Sunuwar and Santosh Moktan. The convocation also nominated Ganesh Sherpa and Kaji Sherpa as the members of advisors of the committee. They have set the objectives to help the new comers from Dharan to the United State, to support each other as a family member during a hard time or if any unexpected circumstances hit any of the members, to discuss about the Dharan Sub Metropolitan development, to build and strengthen the teamwork among the Dharane people in order to strengthen the economic and social existence in the United State and build further more detail concept about the development and support of the origin connecting to each other around the world. They have decided to add new vision and concept conducting the meeting with the people of Dharan who are spread around the United State. 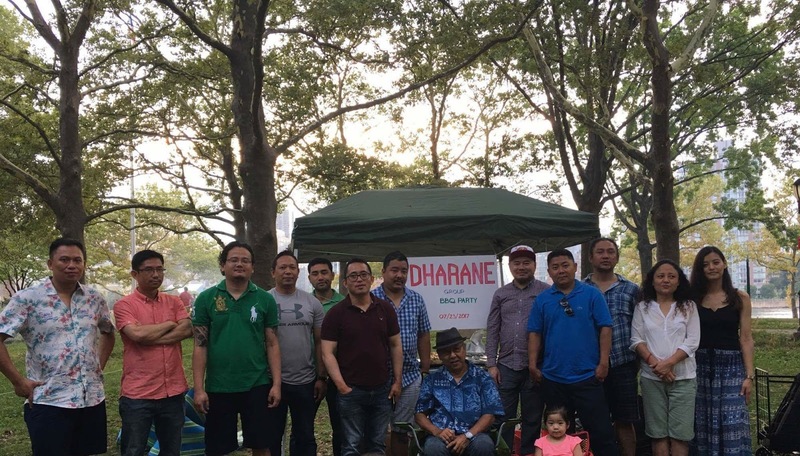 The newly elected president of the committee Tumbahamphe said; He has a great vision, bringing the Dharane together into the same string and to build a notion of "we Dharane" wherever they live in the world. All the members of the committee excitedly vowed their unity and determined to extend this love and compassion as a power to preserve the notion "we Dharane" in the world. The rest of the people from the committee also discovered the needs of unity bond from the same origin in the foreign land like United State of America.